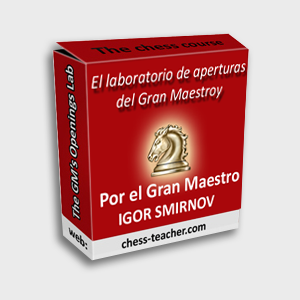 Remote Chess Academy Official Partner: Spanish Courses and Special Offers! In the Remote Chess Academy, we always take in account our student’s wishes and needs. Recently, many of you asked for a translation of the courses in Spanish. That’s why today I am proud to announce to you that we have translated three of the courses into SPANISH. In honour of this nice event, there will be 15% DISCOUNT for these three courses (both for the English and for the translated versions) during the next few days, till Sunday 29 June. Just indicate your discount coupon ESP while placing your order and it will cut 15% off the price automatically. In this course, I will give you all Grandmaster secrets and tell you how to study, how to learn in the right way, how to avoid blunders and inform you of many topics based on my own experience. I put 15 years of my experience into one course, with interesting and amazing videos. In chess, the opening stage is primordial and it’s important to be good during it if you want to have a successful middlegame. Strong players are very well prepared in this part of the game and they generally come into the middlegame with an advantage. That’s why, with this course, I can give you the chance to be prepared like a Grandmaster and to get a complete opening repertoire. Lots of amateurs think they don’t have a chance against titled players. But they are totally WRONG! 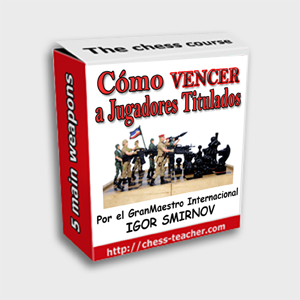 That’s why, in this course, I’ll show you how to master the five weapons in chess and how to defeat titled players. But this is not the only good news: if you already own a course, you can buy a translated version of the same one for only $7. 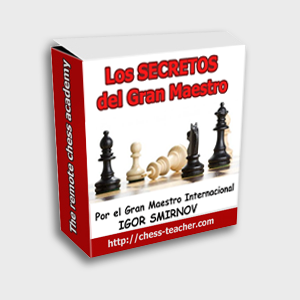 For example, if you own an English version of the course, “The Grandmaster’s Secrets”, you can get its Spanish version for just $7.